I'm a constant tweaker. I am always changing things up in my home, tweaking, moving, painting...Well it should come as no surprise that I do the same thing when Christmas rolls around. It's never really done. I just move things around and add things. Well a few weeks ago we had some dreary weather and I got cabin fever so I added a few more holiday touches. They were easy and free! I started with this chalkboard in my kitchen. I wanted something festive, but it was already the middle of December so my advent idea wasn't going to make the cut. 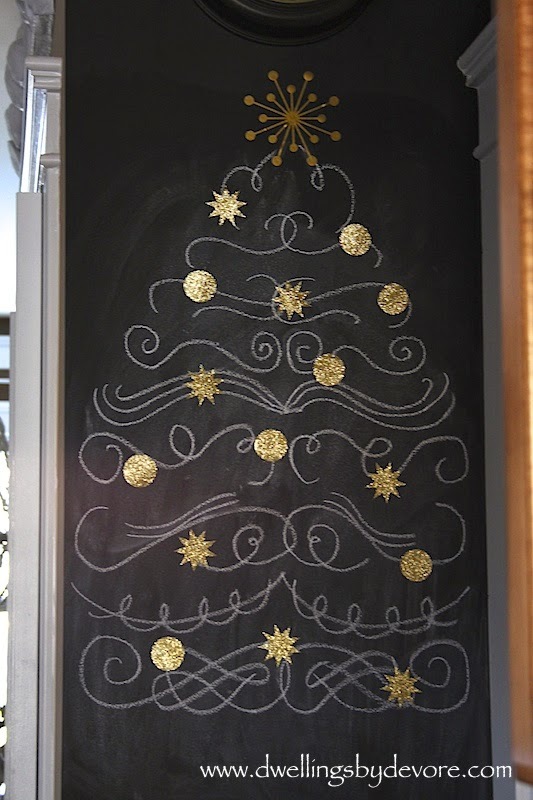 I settled on a chalkboard tree after seeing this free printable. I used the printable as a guide and roughly sketched something similar to create my tree. Once the tree was done it needed a little oomph. I thought about adding some twinkling lights, but sadly there's no outlet nearby. 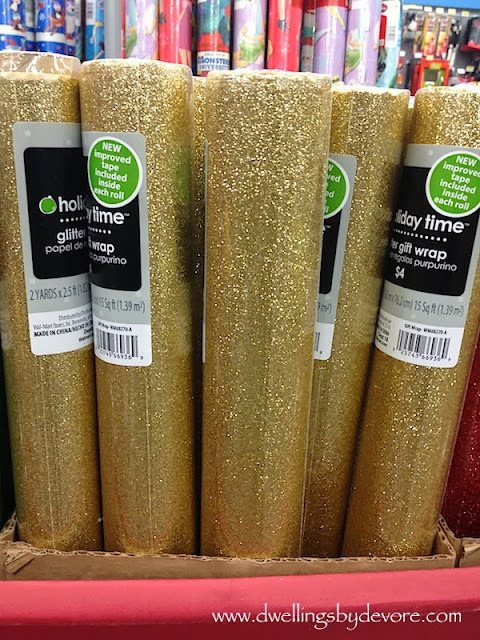 So I turned to the next best thing, glitter. I actually used this glitter wrapping paper from Walmart ($4 a roll) to make my ornaments. It's a great deal and I can think of so many things to use it for. I might check back after Christmas and grab a few rolls when it goes on sale. Although $4 isn't really going to break the bank. Anyways, back to the ornaments. I used my silhouette to cut out the circles, stars, and the topper. 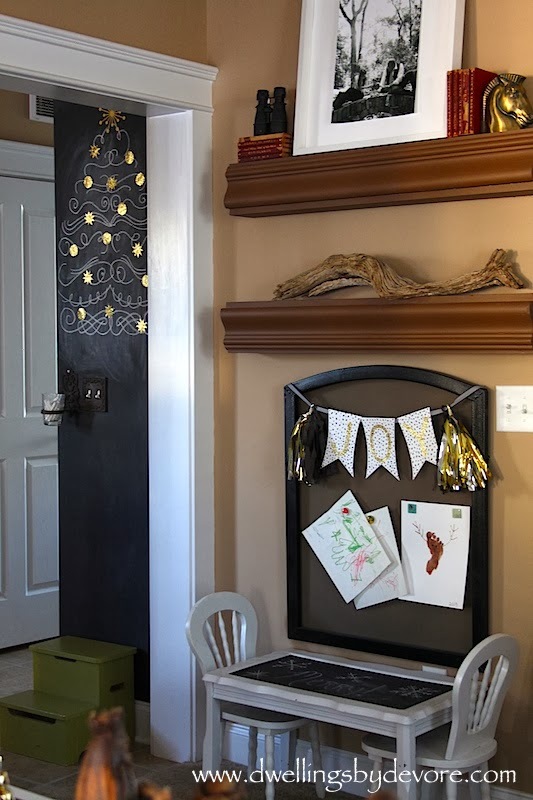 You could easily do this with a circle or star punch from any craft store or just good old scissors. Then I taped my shapes to the wall. I also added a fun little banner to my daughter's craft table. It was super simple thanks again to the help of my silhouette. You could cut the letters out by hand too. The tassels were leftover from her first birthday. You can find the DIY for them here. The white card stock background looked a little boring so I drew some random black circles on it with a sharpie. love those touches! the chalk tree is awesome- i am all about glitter gold anywhere! I love the glittered paper from walmart! placemats and runners and of course, for wrapping (as a ribbon only since it's a bit difficult to really wrap gifts with them ... http://buhayatbahay.blogspot.com/2013/12/our-gold-green-christmas-tree-for-2013.html! 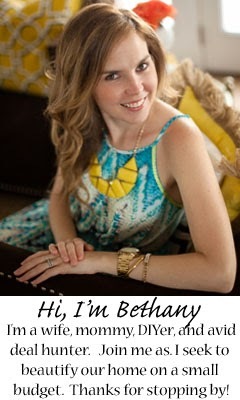 Love your new ideas Bethany! Will keep them in mind next time! have a wonderful Christmas! 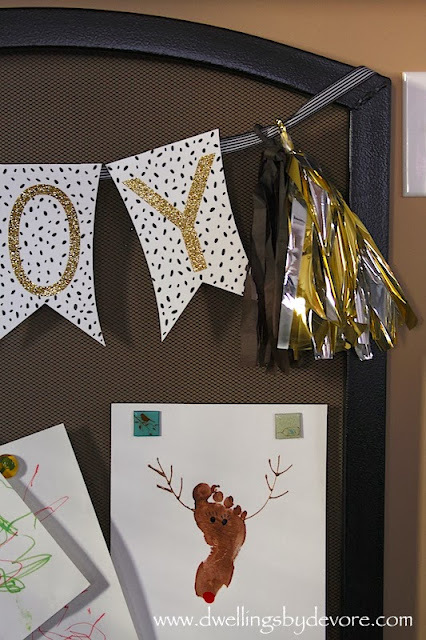 I love the tree and the crafts that you used the paper for and I can't believe you found it at Walmart! Love it! I never go to Walmart because the one where we live is soooooo bad. Horrible and scary! So I avoid it like the plague! This paper might make me brave though! i'm always tweaking too...decorating isn't done till christmas day! I looooove that tree and the banner Bethany! I'm a constant tweaked too! Things are never really finished in design anyway. It's ever evolving:) Have a happy, wonderful weekend. How do I not have a silhouette? Love your projects using yours! 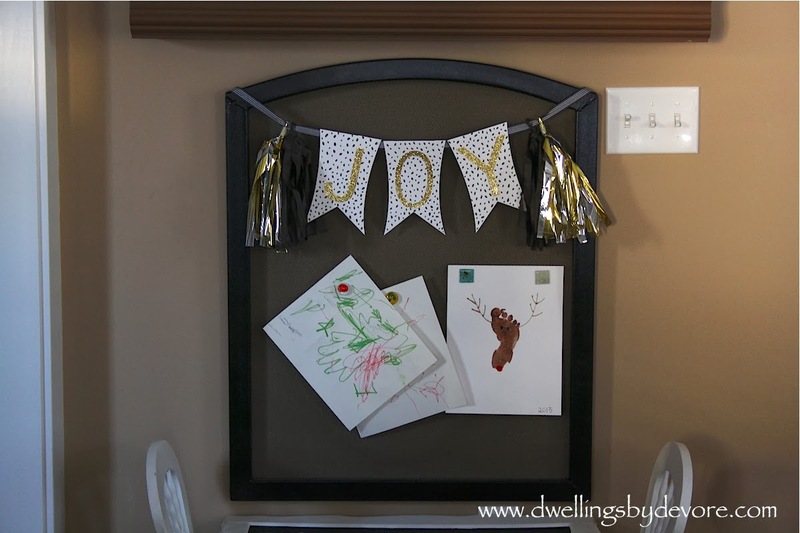 That banner is too cute, and I'm pinning your chalkboard tree for next year!